Tekken X Street Fighter: Going Next-Gen or Cancelled? Where is Tekken X Street Fighter? That’s the question many of us fight fans have been wondering recently. Nobody has even seen a screenshot of the game, and yet it has been two years since Capcom released Street Fighter X Tekken. Namco’s return effort was set to give the Street Fightercharacters a Tekken-style makeover, but it’s been a notorious no-show for years now. Recently, we were sent a UK release schedule from Bandai Namco (they changed their name around, remember) and thankfully the game was still on there, but the date was only down as TBC. More interestingly, the formats no longer read PS3/360, instead they’ve also been replaced with TBC. The optimists inside us are hoping this means that we could be seeing the game on PS4 and Xbox One -two consoles desperately in need of a decent fighting game. With a relatively small install-base for the new consoles though, we’d still expect the PS3 and 360 (and probably the Vita) to see the game too. After waiting nearly two years more than our Japanese friends, we Western gamers have finally got our hands on one of the most eagerly awaited RPGs of recent memory. But was it worth the wait? 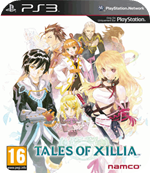 Tales of Xillia takes you on a journey with Milla Maxwell, a spirit deity in human form, and Jude Mathis, a young student, as they try to stop a corrupt king using a deadly weapon in a war he’s desperately trying to start. You’ve probably just about finished Ni No Kuni by now yes? Well, that means you need another absorbing JRPG to get stuck into and once again Namco Bandai are here to help, this time with their long awaited English version of Tales of Xillia. The original Tales of Xillia isn’t even out in Europe and America yet, but Namco Bandai have already committed to bringing the sequel to the Western world too. The first game will be out in August and now players don’t have to worry about missing out on the sequel when they’re done. Namco Bandai have released three new trailers for Tales of Xillia, the Japanese JRPG that is finally coming to Western gamers in August after nearly two years of jealous waiting. The game was met with widespread critical acclaim when released in Japan and even a sequel was released in 2012. Namco will need to see some decent sales of the first game in the West before they consider bringing the second game too. If only we could see more publisher cross-overs to bring our favourite characters together. Sega, Namco and Capcom have thrown their best stars into an epic battle on the 3DS. Not that the trailer shows it, but the game is supposedly an RPG in a similar vein to the isometric Final Fantasy Tactics. This trailer shows what happens when characters actually attack each other though, as the camera zooms in and goes side on, more akin to something like Street Fighter. Using combos and team-up abilities gives the game a very action-heavy look that appears to be making the best of the game’s stars. With any luck this will sell millions and inspire Sony and Square-Enix to make a Uncharted / Tomb Raider crossover (OMFG!). Anyway, Project X Zone is already out in Japan and is currently lined up for a Summer release in the West. Which will probably explain a lengthy ‘illness’ from our editors, Matt and Jon, around the same time. Me too, if they release it on the Vita that is. Check out the insane trailer after the break. European fans have been waiting years for a localised release for Tales of Xillia and here are some new gameplay videos to whet your appetite. Xillia is actually the 13th entry in the Tales series, but just like Final Fantasy, you don’t need to have played the previous titles to get involved. The game received fantastic scores in Japan, so we’ve got high hopes for it. We mentioned Namco Bandai putting up a teaser site earlier this week with an image of a motorbike and an obscure quote and we can now reveal the game behind all the secrecy is Kamen Rider: Battride War. Based on yet another Japanese anime series, the game is wait for it…a Dynasty Warriors clone but with Power Ranger-style cosplayers and motorbikes, or something along those lines. All we know is it’ll be on PS3 and involve beating up armies single-handed. There’s a trailer for you after the break, with a little bit of gameplay towards the end. Everything’s in Japanese and there’s no confirmation of a European release as of yet, but keep your fingers crossed, you never know it might not be as terrible, boring and derivative as it looks. The original One Piece: Pirate Warriors may have passed you by late last year, but maybe it’s time to check it out as the sequel is on the way for the summer. Think Dynasty Warriors, but you actually want to keep playing after five minutes because you control a mentalist pirate with stretchy, rubbery limbs. Battling against hundreds of enemies with these fantastic abilities made the original game a lot of fun to play. Some boring secondary characters and a jittery nonsense story made it occasionally frustrating, but fingers crossed these things will be improved for the sequel. Take a look at the first trailer after the break. 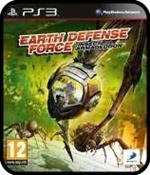 The EDF (no relation to Red Faction’s EDF) games have been something of a cult hit on the 360 for a while now and the series has finally made its way to the PS3 too. New recruits listen up; your mission in this arcade third-person shooter is to defend the planet from an invasion of giant bugs. Ants, spiders and wasps have all been super-sized to form an alien army of nature’s bastards. Over-turned cups and rolled up newspapers aren’t going to cut it anymore. The carnage over the game’s fifteen levels is simple enough to grasp: kill everything in sight and occasionally plant a demolition charge. The single-player campaign missions match those used for multiplayer, so levelling up is consistent across the board. Playing offline is clearly not the way the game was intended to be played, as your AI team-mates struggle to focus on taking down bosses, although they are impressively reliable for reviving you, which is more than can be said for some players online.